The original New Super Mario Bros U was a launch title for the Wii U, pushing Mario into HD for the very first time. Many were hoping for something more Mario Galaxy inspired, which we wouldn’t really get until Mario Odyssey, though Mario 3D World was itself still a good entry to tide us over. This Switch port contains all the content from the original game, as well as the New Super Luigi U DLC and even has new characters such as Nabbit and Toadette to play as. The original game probably didn’t get the recognition it deserved since the Wii U didn’t set the world alight, but this port proves that there’s still plenty of life to be found in Wii U ports for Switch. 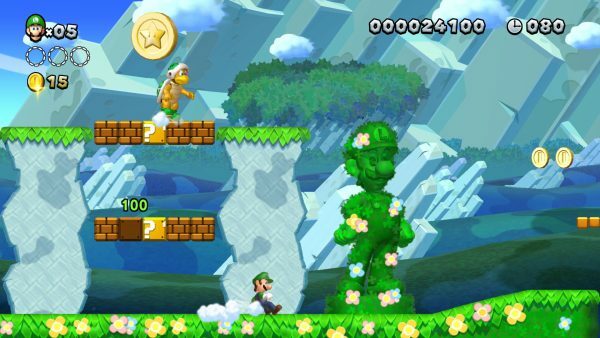 May we see Super Mario 3D World next? I wouldn’t say no, that’s for sure. The gameplay remains as classic as ever and in total, there are 164 courses to complete, which is more bang for your buck than you’d expect for the price tag. Visually, Deluxe looks just as impressive as the original, but it is impressive that the Switch can pull it off seamlessly in both docked and handheld modes, which in itself makes the game more accessible to gamers. Being able to play a few levels on TV and then in the car is a big selling point and the sales shows as it’s already selling 25% better than the original did at launch. 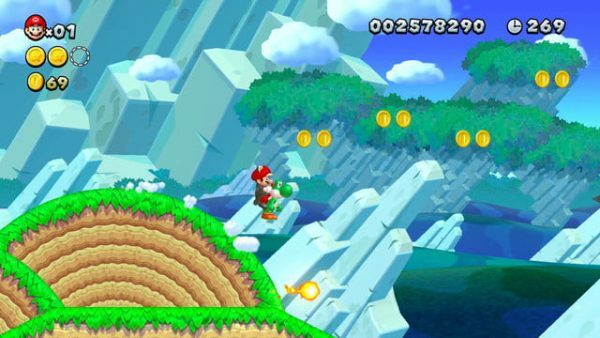 The framerate is solid and never falters, while the music and sound effects are classic Mario. The original New Super Mario Bros U was a highly enjoyable entry in the Mario series, but it never quite got the love that it deserved, so a Switch port makes perfect sense. It would have been nice to see a new World or a Bonus Level, but the new characters and modes, plus all the original and DLC content more than makes it a worthy purchase.